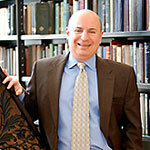 Howard Levy is a regular contributor to journals and newspapers regarding the IRS. With his experience and unique perspective, Howard’s articles provide information that you can use to help solve your IRS problems. A former IRS trial attorney, Howard Levy has over 20 years of experience representing individuals and companies facing tax controversies. His expertise includes finding solutions to IRS collection problems, with an emphasis on the use of bankruptcy. He is a partner in the Cincinnati law firm of Voorhees & Levy LLC.